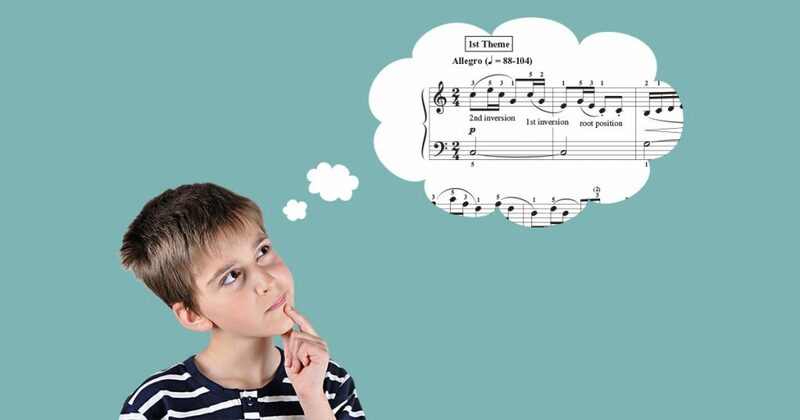 Occasionally after a student has played a piece in a lesson and the performance did not reflect the musical details in the score or just seemed a bit off, particularly when played more convincingly in other attempts, a seemingly innocent question is asked. “Point to the spot on the page where the music begins.” For students hearing this question for the first time, their puzzled reaction is followed by a series of half‐hearted points—to the first note of the piece, to the time signature, to the treble clef, to the key signature, or to some other place on the page—ending with a quick glance back at me hoping they had guessed correctly. Time signatures, key signatures, and clefs are all important aspects of the music, but they still do not mark where the music begins. It is not until after suggesting that maybe the music begins somewhere before the printed markings—the blank space—does the curiosity begin. Helping students discover that in most scores there is a slight indentation in the first line of a piece, similar to the indentation found at the beginning of a paragraph, prompts an interesting question. Why? While there is some organizational reason for this indentation, perhaps there is a musical reason as well. All too often students jump into a performance without clearly thinking about what they are trying to express. 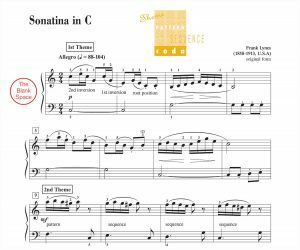 The immediate goal might be, “I am going to play Sonatina in C,” but have they truly given any thought as to what playing Sonatina in C entails? Are the brain, fingers, and senses prepared to convey all the musical nuances and technical requirements that tell this musical story? Have they taken a breath (or several) in order to steady their heart rate, calm their mind, and focus their energies? Is the attention 100% on the music or elsewhere? The printed score allows for this crucial preparation. But many simply overlook the opportunity. In today’s world where the squeaky wheel gets the grease, the tallest building blocks the view, and speed bumps disrupt the flow of traffic, noises and distractions eagerly vie for our attention. Stopping to acknowledge a seemingly unimportant detail, such as the extra space in the page margin, may appear unnecessary. But isn’t the blank space just as purposefully present on the page as the printed notation? Because of this extra space, pianists are given TIME. Time to think, time to prepare, and time to anticipate key signatures, time signatures, dynamics, character changes, articulation, balance, tempo, and other nuances that make a piece special. The “false‐starts” in which students restart after having played several measures, the “8 measure meander” in which it takes about 8 measures before students begin to play musically, and the “automaton” performance in which keys are depressed without notice of any musical nuances can often be avoided if students simply take time to think. Take a moment to acknowledge the blank space and embrace the possibilities. Then the music can truly begin. 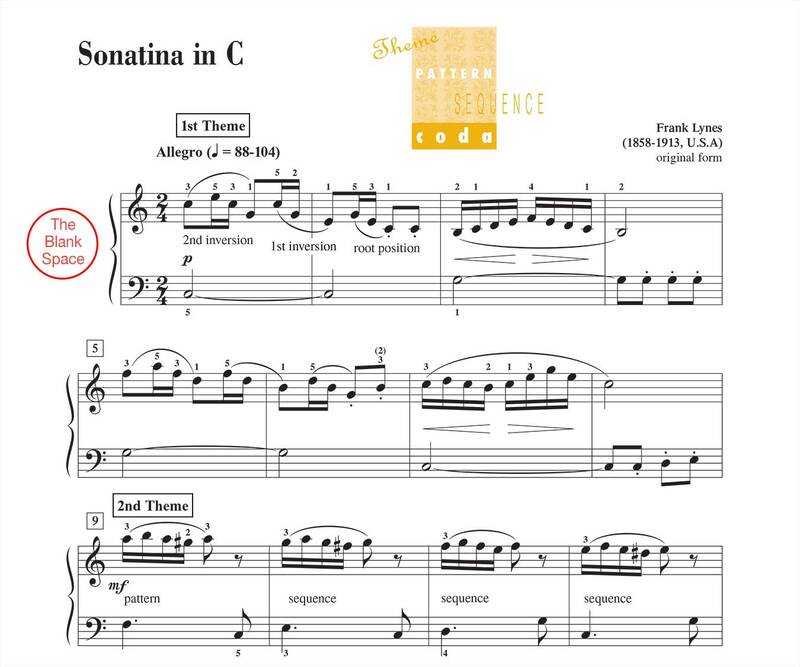 *Score Example: Sonatina in C by Frank Lynes, Piano Adventures Level 4 Performance Book, page 6.